Welcome to Dukla and Jewish Genealogy! 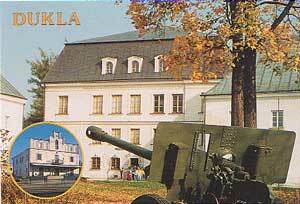 Dukla is located in the southern part of Poland, at latitude 49° 34´, longitude 21° 41´. Although the town began in Poland, it was part of of Galicia (an Imperial Province of the Austrian Empire) from 1776 to1919. On the map below, Dukla is surrounded clockwise by Iwonicz-Zdroj , (7 miles ENE), Rymanow(8 miles East), Krempna (8 miles WSW) Zmigrod (7.5 miles WNW), Chorkowka (6 miles North) and Jedlicze (10 miles North) and Krosno (9 miles NNE). Most of these towns had large Jewish populations until World War II. Those towns that have web pages are underlined in BLUE above; the Krosno web site is a regional one that incorporates information from the entire area. To view the background of our genealogical research group, go to the KehilaLinks page on Zmigrod. On this Zmigrod page you will find in-depth history of the area (Galicia), stories from folks born in the area, fascinating travelogues, links to pertinent web pages on JewishGen, and holocaust information. Even more importantly, if you are visiting this page because your family came from Dukla, you might want to read about the surrounding communities too, as in Galicia marriages were most often arranged between families from nearby towns; and the young couple lived in one of the family towns. So even if, say, your great grandfather came from Dukla, it is possible that his people came from a neighboring shtetl! Please feel free to contact any or all of us if you have any questions or information to add. Just like our research, this is an evolving project! Copyright © (2000)Team Zmigród. All rights reserved. Web Page Updated February 2019. You are Visitor # to this page. click to return to the JewishGen Home Page Please note: This site exists because of your Jewish Gen-erosity. Your tax deductible donation to JewishGen makes these services possible. We spent a great deal of time organizing this information so that your genealogical search might be more rewarding....and you can reward us -- just click on Jewish Gen-erosity. South of Dukla lies the Jewish cemeteries; the so-called old cemetery, from the 18th century and the "new" cemetery somewhat later. In the "old cemetery" dozens of tombstones have survived, but are in poor condition and the cemetery was overgrown. There have been many efforts to restore the cemeteries. The new cemetery now has a wall and about two hundred well-preserved tombstones. JewishGen's Dukla Page-- maps and town history and governments, and links to nearby towns, researchers, yizkor books and more!! Over 300 Vital Records...Search our Surname List --We have the information from over 300 birth, death and marriage records from Dukla!!!!! Trade Membership Certificates (1906-1927) from Dukla!!!!! Find Other Researchers looking for your Surnames & Towns!! -- JewishGen's Family Finder (JGFF). Do you have roots in Dukla? Would you like to connect with others researching the same community? Click here to search the JewishGen Family Finder database.You may need to register, but i promise you, its painless, and by registerring, others will find you�so it�s worth the few minutes!! We are willing to share, so please note that we have amassed over 750 birth, death and marriage certificates in total.....including 139 from Dukla which we we have summarized in our Surname list. Notary Records 1924-1934 in the Przemysl Archives. Phyllis Kramer. Certainly i would hope that if anyone hires a researcher for this town, or gets records from this town, they would share that with the rest of us. I am dedicated to putting on this web page anything i receive from fellow researchers. 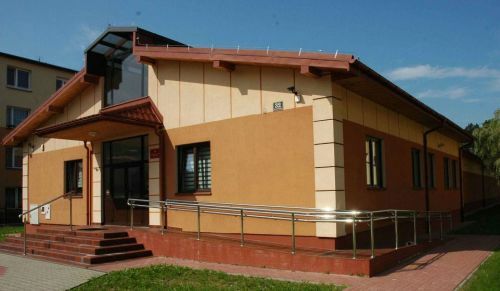 Subarchive in Sanok is at 38-500 Sanok, street Sadowa 32, tel: (13) 463-19-99, has no email; it contains records from Sanok, Lesko, Jaslo, Krosno and nearby towns; records from the Skolyszynie Archive were transferred to the Sanok branch a few years ago. 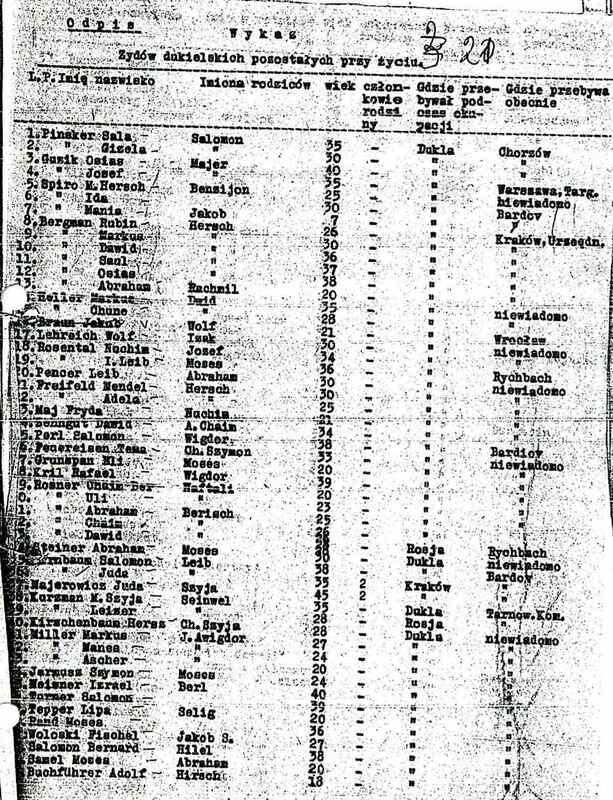 Detailed inventories for each of these archives are on the Gesher Galicia site at https://www.geshergalicia.org/inventories-of-jewish-galician-records-in-archives-in-southeastern-poland/, or click here . In 2013, the Polish State Archive commenced a program to digitize their collections of vital records. Each Regional Archive independently made its decision on how to create the digital images and where to host the Many of the regional Archives images are hosted on the website of the National Digital Archive (Narodowe Archiwum Cyfrowe). Howard Finks NDA Guide for JRI-Poland , which can be downloaded from http://jri-poland.org/help/NDA_Guide.pdf. It gives step by step instructions. Chrome for translating web pages, titles, search commands. I usually begin by going directly to the NDA at https://szukajwarchiwach.pl/ and key in a town name and a polish word for Jewish Records (Hebrajski or Hebrew, Israel or izraelickie, Jewish or Juden, Mojzesz or Zydow); each record collection uses different titles. Then i click scans only, to reduce the number of results, then i use Chrome to translate the titles of the results. Next is the really hard part...slogging thru the unindexed records...but wow if i find something! This Polish presentation (powerpoint), prepared by Dr. Stanislaw DOBROWOLSKI is at: http://www.rzeszow.ap.gov.pl/upload/aktualnosci/prezentacja_sanok_2018.01.17.pdf. or click here to view the presentation in Polish. The following are some highlights, captured via Google translate (thus there are many grammatical and unclear sections, but still worth reading). Any search in other materials they have an auxiliary character, e.g. in teams archives. 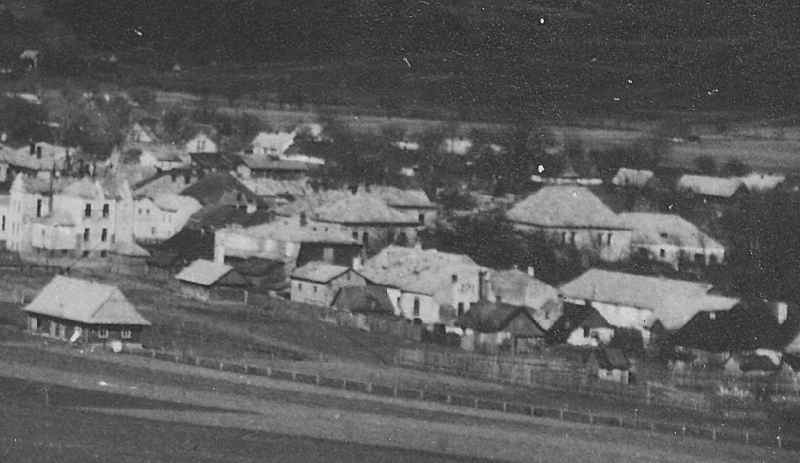 Files of the city of Sanok (Department of Sanok), and above all in materials after Sanok starostas (State Archives in Przemysl). Some sample documents follow. A certificate of the destruction of Israeli record books is attached to the request for the reproduction of Kalman Segal's record act from 1950.
smaller synagogue and a Mikvah from World War II. In the stock of the Civil Registry Office in Sanok and in Branch in Sanok, State Archives in Rzesz�w there are only books that contain sentences administrative decisions on the legalization of the birth certificate, marriage or death issued at the request of people interested in the interwar period, and relating to earlier events. They represent a small number of Jewish faith records. 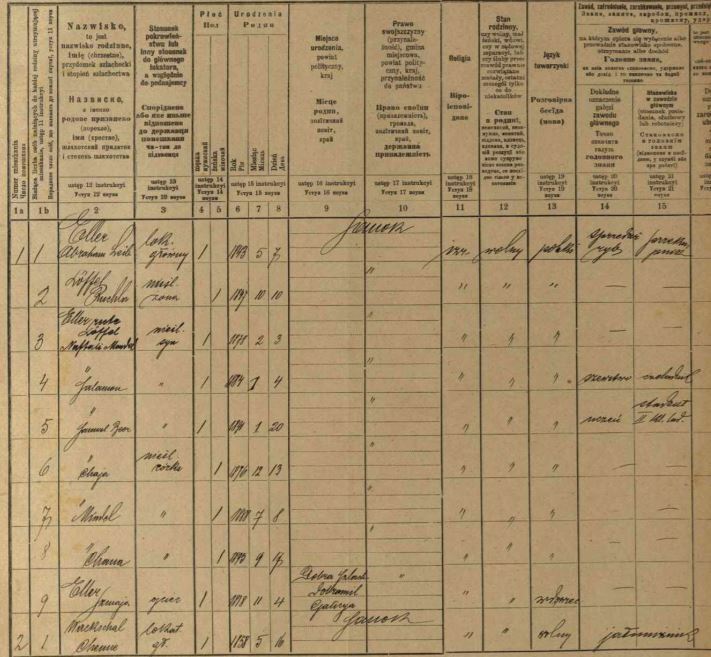 1927 Census Cards (Karta ze spisu mieszkanc�w z 1927 roku). The saved cards apply to only a few streets and there are many mistakes regarding dates. They contain year of birth or age, name, occupation, confession, and time in Sanok.�The sample on the left is for the LANGER family. They were submitted to city ? ?authorities by leading record books Israeli for purposes of registration. imiona rodzinow i franienskie nazvisk matki = names of parents and mother's surname. 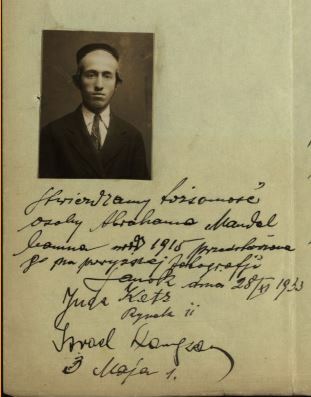 Application for issuing ID card by Osias Wallach from 1929 (Wniosek o wydanie dowodu osobistego Osiasa Wallacha z 1929 roku) This paper refers to the Wallach family; Jaffa Wallach survived a lot Holocaust hidden, among others in Lesko by J�zef Zwonarza. In 2012 in Poland have been published memories of Jaffa Wallach "Bitter Freedom. Memories of the survivor of the Holocaust"
Arrest Record: Fascination with communism among Sanok Jews (Fascynacja komunizmem wsr�d sanockich Zyd�w); a fight occurred, resulting in a prison sentence. 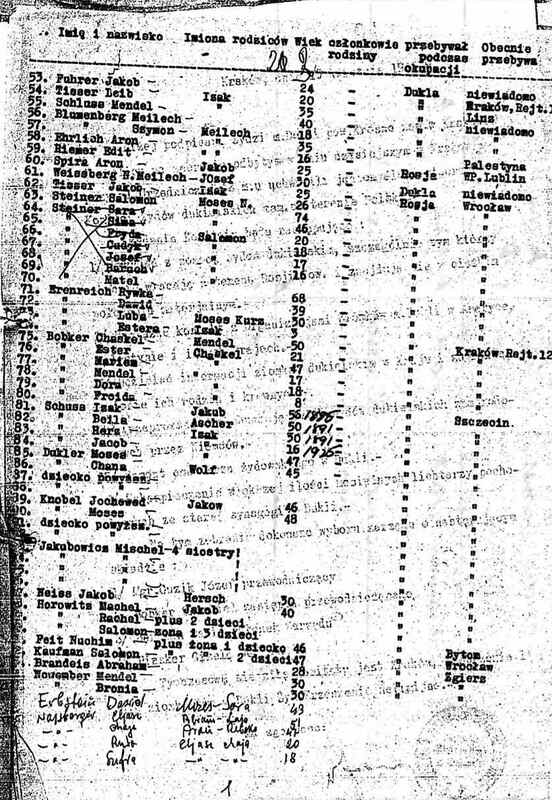 Tax register from 1938-1941 (Rejestr podatkowy) includes M.WEISS; this is often the only source about people of the mosaic faith, but has little other information other than the tax paid. The Jews are above all entrepreneurs of various industries (Zydzi to przede wszystkim przedsiebiorcy r�znych branz). This letter (?) translates to You had to see him, imagine him, you have to be in the background of this Town, on the background of somnambulous landscape, grotesque, among Jews in black and velvet hats, and on market days also among peasants with shirts; carded ones released on webbed pants, going on in the morning breakfast with hot sausages, Dampfa restaurant, tilting hat before bowls of several patrons, two or three doctors, a few judges, dignified and sympathetic pharmacist Kawski, prosecutor and the head of the prison or the mayor and your starosta. files of cases for restoration of possession. The table below was extracted from the JewishGen database of the 1891 Galician Business Directory. In February of 2015 I added those entries appearing in the 1896 Directory, online at http://genealogyindexer.org/frame/d433/153/d created by Logan Kleinwaks. Note that listings were similar to the YellowPages directories of today, as they were paid for, and sorted by occupation. The items include: Surname, First name, Dukla or nearby Town, Occupation in German, Occupation translated into English. Do you have roots in Dukla? Would you like to connect with others researching the same community? Click the button to search the JewishGen Family Finder database. You may need to register, but I promise you, it's painless, and by registerring, others will find you�so it�s worth the few minutes!! Walach; Walke; Wasserstrom; Weg; Weil; Weinberger; Weinstein; Weissman; Welisch; Wietschner; Wild; Zehngut; Zelnigut; Zimit; Zuckerman. Most of the German 1939 minority census has been indexed and you can research surnames **and towns**. I put in my ancestral Polish and Austrian towns and was able to search Jewish people living in Germany in 1939 who were born in that specific Polish or Austrian town, getting their birth date, maiden name and location in 1939. Of course you can search by surname too. In 2016 FindMyPast.com added many items from the British Archives. The following resulted from a search using Zmigrod as the query point.The images connected with these items contain even more information. Go to http://search.findmypast.co.uk/search-world-records/britain-enemy-aliens-and-internees-first-and-second-world-wars and put Dukla into the keyword search field. Guzik, Josef	 Majer	 35	 Dukla	 Warszawa, Targ. Tisser, Leib	 Isak	 20	 Dukla	 Krakow, Rejt.